Late on the afternoon of Sunday, February 5th, 2017 [Super Bowl Sunday] the Garden City Fire Department was dispatched to a report of a house fire at 48 Fenimore Avenue off Tanners Pond Road. Upon the arrival of the first fire department units a signal ten [working fire] was transmitted for a garage fire attached to a two-story private dwelling. New Hyde Park was designated the FAST and responded with Ladder 175. During the operation, New Hyde Park firefighters were put to work as an additional truck company. Franklin Square, on scene with Ladder 713, became the new FAST. At least two hand lines were stretched and put into operation resulting in a quick knockdown of the fire. 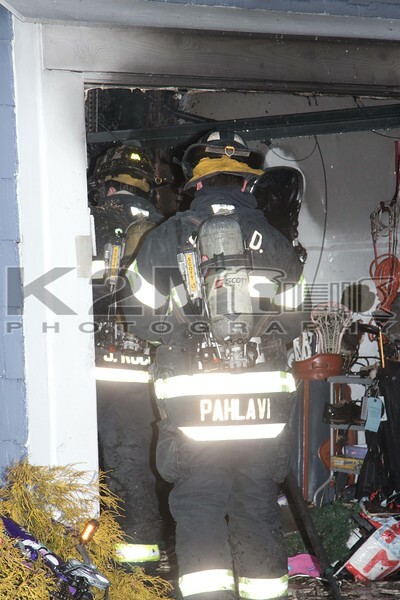 When the fire was knocked down and firefighters opened up in the garage and connecting area to the home they found that the fire did not extend past the garage. The cause of the fire is under investigation and there were no reported injuries.